Since Google Almighty confirmed without any shadow of a doubt that backlinks are a top three ranking factor for websites seeking to boost search engine rank, digital marketers and content creators have been falling over themselves to increase the number of do-follow links pointing to their websites. Now, more than ever, having a solid backlinking strategy is an important SEO technique that all websites need to consider. And like most things in life, there is a right way to do it and a wrong way to do it. To optimize for long-term results, as much as can be expected with an ever-changing algorithm, most SEO experts agree that it's best practice to employ white-hat techniques. Does White-Hat SEO Guarantee Results? White-hat SEO means improving your ranking slowly, and organically. But as you probably know, Google has a history of 'moving the goalposts'. Just because you do thins the white-hat way, results are still not guaranteed. And that's because what is determined as white-hat by today's standards can quickly become black-hat, often overnight and without warning. One example is guest blogging, which Google actively encouraged as a white-hat way to get do-follow links, once upon a time. But that stance didn't last forever. It famously singled out Ann Smarty's My Blog Guest community, which had played by the rules and was in accordance with Google's Webmaster Guidelines for years, until it suddenly wasn't. Google brought down the banhammer and manually penalized MBG in order to make an example of how guest blogging had become the new bad guy in town. So, what's considered white-hat today might not always be so clean and pure, by the fickle Google Gods. Use everything at your own risk. The Most Obvious Way To Get Backlinks? Ok, so we need backlinks. But how do we get them? The obvious answer is to throw money at the problem and buy them. Buying links that pass PageRank is one of the deadly sins, and is outlawed by Google. PageRank? Isn't that deader than disco? Not according to Google's Gary Illyes. And yes, it stinks of hypocrisy. Google, the biggest link seller on the planet (thanks to Adwords), laying down the law that buying links is now and forever a "black-hat" technique. So, black-hat techniques like this go against the guidelines that Google, and other search engines, have put in place. But does that really matter? While these techniques may gave your site a quick boost in the search ranking to begin with, you do run the risk of being penalized. Plenties might include your website being completely de-indexed. 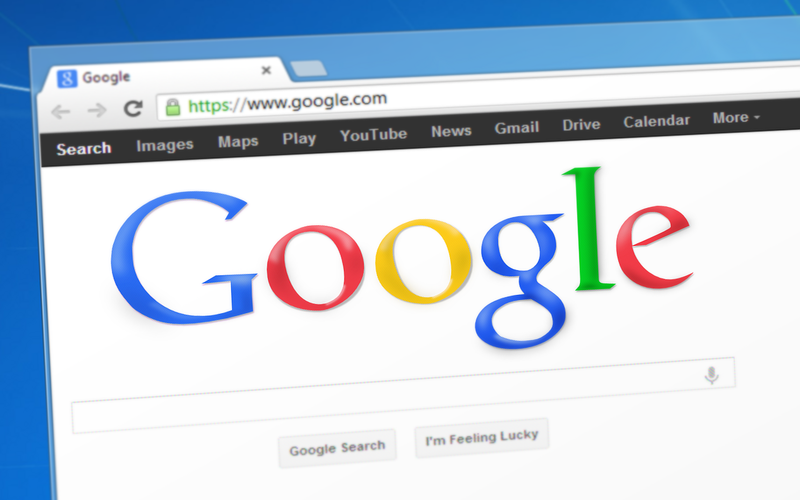 While historically we've also seen other sites become so severely damaged after experiencing the wrath of Google, it's unlikely they will ever regain their previous ranking. However, you are in charge of your business and therefore you have the freedom to run it however you choose, irrespective of what Google, or any other company thinks. With that in mind, read on to learn eight organic ways to build backlinks to your website, that are at least today, considered white-hat. One of the first things you need to do is replace broken links on other websites. You are going to locate broken links on blogs that are relevant to your website. So, what do you do? All you need to do is get in touch with the blogger in question and explain that you have found a broken link on their site, and offer a replacement link. No blogger wants to have broken links (it's bad for SEO), so once you suggest a replacement - i.e. your piece of content - they might be happy to accept it. But how do you find these broken links? It is easy; there are many free backlink checkers available, which will crawl through your favourite blogs on the web so you can find good opportunities. The next method to consider is blog commenting, which is a popular and very effective way to get backlinks to your site. It works exceptionally well because you are going to gradually increase the quantity of backlinks to your site over time, which is perfect for building a ranking organically. Make sure all of the comments you contribute are meaningful and insightful. They should not come across as spammy. Of course, it would not be right to talk about building backlinks without speaking about guest blogging. But hang on! Didn't I say that Google considers this to be black-hat? It depends. If you're posting low-quality content, on low-quality websites, in the hope of getting link-juice then I've got some bad news for you. You need to make sure that this content is original, engaging and interesting. Moreover, you should only post it on websites that are relevant to your business and have a strong readership. For example, if you sell car parts, look for auto blogs to post your content on. Another strategy for building strong backlinks is to repurpose content. This is something you should be doing daily. It is incredibly easy to do, but you need to do it effectively. This involves taking your blog posts and turning them into content in another format. For example, this could be a PDF, a podcast, or a video. However, one thing you should never do is simple duplicate your blog and post it elsewhere. Irrespective of what you change your blog to, make sure you link it to the original version or your website, as this will generate another level of white hat backlinks to your site. HARO stands for Help a Reporter Out. It is a website that enables you to connect with influencers, bloggers, journalists, and any other sort of people that are knowledgeable authority figures within the industry. The website will not cost you any money to join, and you will receive emails twice per day with digests from reporters who are looking for expert opinions. If you are selected by these experts, the content produced will incorporate a backlink to your website, which can be incredibly valuable. This can help you in many different ways. Of course, if gives a backlink, which helps to boost your search engine ranking. Nevertheless, it also shows you as an authority figure in your industry. Aside from the suggestions that have already been mentioned, you can also use communities to build backlinks. You should get involved with forums in your niche. Reddit is also a good place to get involved in. Make contacts and network with people so that you can build up a group of contacts that you have rapport with and you can use to your advantage. Become an asset to the communities you join. Provide help with a link to your website, and contribute premium quality posts. However, as mentioned with regards to the adding comments point earlier, you should never simply spam. Everything needs to be helpful. Both Yahoo Answers and Quora provide another great option for generating natural backlinks. People post questions on these platforms, so you should take the time to answer them. Make sure you give as much detail as you can. Your replies need to be helpful, and they need to actually answer the question. Do not merely post irrelevant promotional content on any random question you can find. However, do make sure you naturally incorporate a link to your website within the comment. Last but not least, we have newsjacking. This is an approach that does not only help with your backlinks, but with your branding as a whole. You are bound to find industry news related to your company on a daily basis. If you news these items, you will make your brand relevant. So, basically, you take a piece of relevant news, and then you attach it to your brand. By doing this, you make your brand relevant. This will make your content shareable, and so it is much more likely to gain traction and make an impression. So there you have it; eight of the effective ways you can build backlinks to your website. If you follow the suggestions that have been presented above, you should start to climb up the search engine result pages. You do not have to use all of the methods that have been presented, but it is ideal to at least diversify your backlinking strategies. I recommend getting to grips with one method, and then you can start to build on it by bringing in another strategy to the mix, and then another and so on. Then before you know it, you will have a killer backlink campaign. And if you want a whole heap of new targeted traffic sources you can get them here. great , you have great knowledge SEO. Great article, this article is very useful for new comer. Want to update your knowledge then readout different strategy of business in digital age. Replacing broken links I will most certainly do. I LIKE idea of blog commenting,guest posting and joining communities. This article is on point and easy to understand.